Any kind of debt can prove to be overwhelming. When credit card balances max out, when mortgage payments start getting paid late or when student loan debt threatens to swallow your income whole, it can be challenging to know just what to do. In particular, tax debt can inspire stress in anyone. 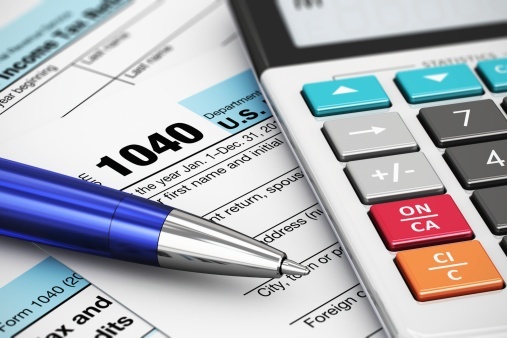 For on top of the knowledge that you have tax debt, you face potential IRS action that could threaten the precarious balance your finances are likely already characterized by. First, it is generally advised that you continue to file your yearly taxes even if you are behind on previous tax liability or cannot pay this year's balance. The simple reason for this is that you will incur substantial penalties if you fail to file. In addition, failing to file may close the door on options designed to help you right your tax debt situation. Second, you need to determine what payment option best fits your particular situation. The IRS may allow you to settle your tax debt through a payment plan. You will generally need to call the IRS in order to research this option, your eligibility and the terms of the plan. This option may work particularly well for individuals with a relatively small debt and a steady income. Additionally, there are two other options you may wish to consider. The first is called an offer in compromise and the second is bankruptcy. An offer in compromise functions much like a settlement agreement does, so you will need to have a substantial chunk of your balance available for payment if you choose to exercise this option. However, many individuals struggling with tax debt do not have either a steady and reliable source of income or a substantial amount of their balance available for payment. If this describes your situation or if the other options do not fit your life, bankruptcy may be an excellent option. If you have questions about any of these alternatives, please contact an experienced New Jersey Bankruptcy Attorney for a free consultation who can advise you.